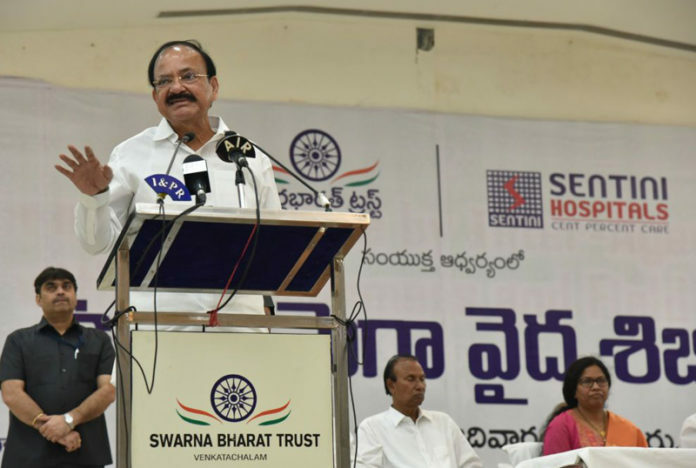 The Vice President, Shri M. Venkaiah Naidu addressing the gathering after inaugurating a Mega Health Camp, at Swarna Bharat Trust, in Vijayawada, Andhra Pradesh on November 05, 2017. 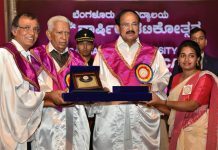 Vijayawada: The Vice President of India, Shri M. Venkaiah Naidu has cautioned people against falling prey to illnesses caused by modern and sedentary lifestyles. He was addressing the gathering after inaugurating a Mega Health Camp at Swarna Bharat Trust, Vijayawada, Andhra Pradesh today. The Minister for Health and Medical Education, Andhra Pradesh, Dr. Kamineni Srinivas, the Minister for Water Resources Management, Andhra Pradesh, Shri Devineni Uma Maheswara Rao and other dignitaries were present on the occasion. The Vice President expressed concern that lack of physical activity and modern dietary habits were causing lifestyle deceases. He further said that people should take physical activities like walking, jogging, cycling and practicing Yoga to lead a healthy life. The Vice President appealed the medical fraternity to educate and create awareness on the dangers of modern lifestyle deceases and the need to adopt preventive measures. Expressing his concern at the lack of adequate health infrastructure in rural areas, he pointed out that the governments alone cannot meet the growing healthcare demands and wanted the private sector and NGOs to supplement the efforts of the government. 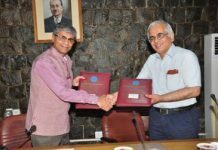 He urged the Centre and State governments to focus on improving healthcare services in rural and backward areas. 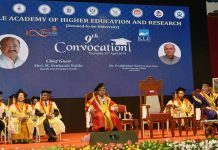 The Vice President lamented that innovative functioning of some government hospitals was forcing the people to get treated at private hospitals. 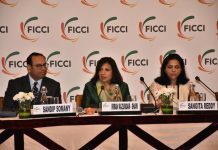 He further said that as against the WHO norm of one doctor per 1,000, there is one doctor per 1,700 population in India. 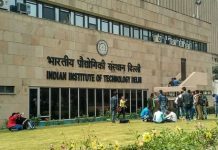 To overcome the shortage of medical professionals in the country, a high-level committee of Planning Commission (Now NITI Aayog) has recommended the setting up of 187 more medical colleges by 2022, headed. The Vice President visited the Medical Camp and interacted with the patients undergoing treatment.